The holidays are here, which means many of us will do some cooking and baking. But when it comes to choosing the right cooking oil, the choices can be overwhelming. From canola to coconut, Consumer Reports separates fat facts from fiction. Are some cooking oils actually good for you? You need some fat in your diet. But you want to look for oils that are made mostly of healthy fats, such as monounsaturated fat and polyunsaturated fat. Those fats will help you lower your risk of heart disease and other health conditions. Here’s some CR guidance on which oils you should you use, and how you should you use them. The mild, sweet flavor of Coconut oil will enhance your Asian dishes. But it is mostly made up of heart unhealthy saturated fat – so it’s best used in moderation. Here are some other oils you can use that are packed with good fats. First on the list? If you like your meats nicely seared outside, avocado oil may be your go-to. Use it when high heat is called for. It has a nutty, buttery flavor. If you don’t want the flavor of the oil to come through in your cooking, canola oil’s neutral flavor is a good choice. Use for everything from baked goods to a delicate fresh fish. 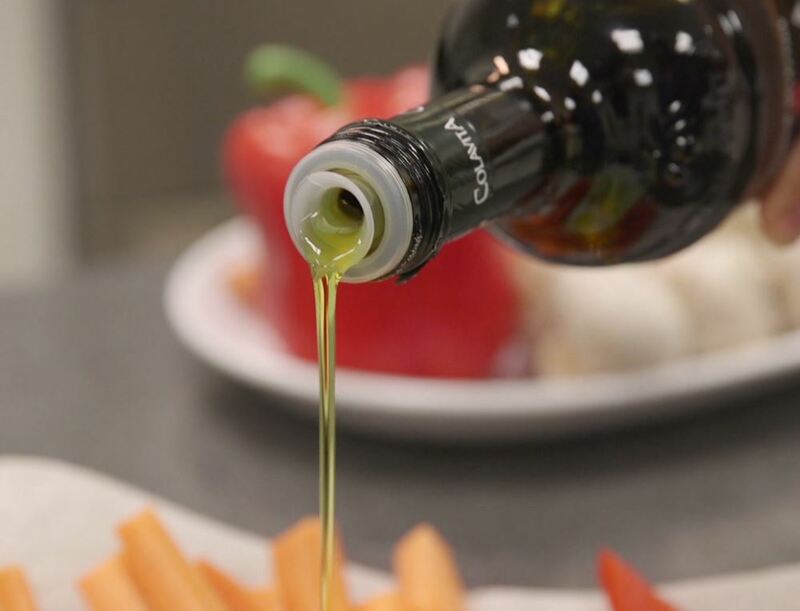 Olive Oil has a bold flavor range – from grassy, peppery, to fruity. Use it to sauté veggies or meat, or simply let it stand on its own as a dip for raw vegetables, or as a dressing for salads. Deep frying calls for oil with a high smoke point. Safflower oil is a good option – it’s also good for general cooking, and its mild, nutty flavor is fine for baked goods. One more tip from Consumer Reports – instead of using a fat-free dressing on your salad, drizzle it with one of the “good” oils we just mentioned, like olive oil, and a little lemon or vinegar. Your body needs that good fat to better absorb the nutrients in your salad.